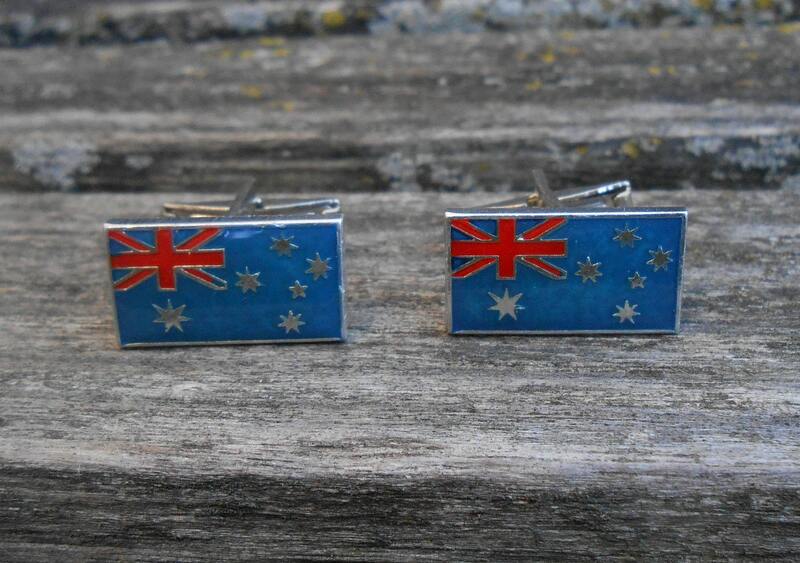 Vintage Australia Flag Cufflinks. 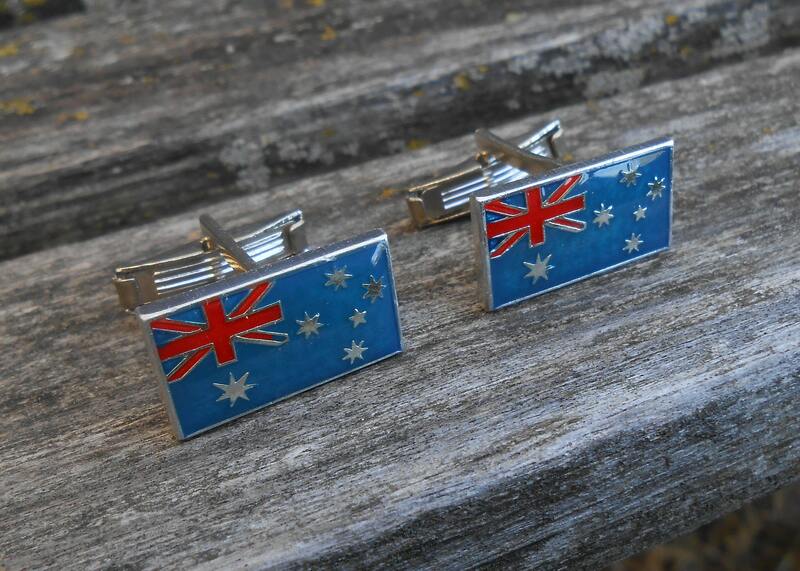 Groom, Groomsmen, Anniversary, Birthday, Citizenship, Wedding, Men's Christmas Gift, Dad. 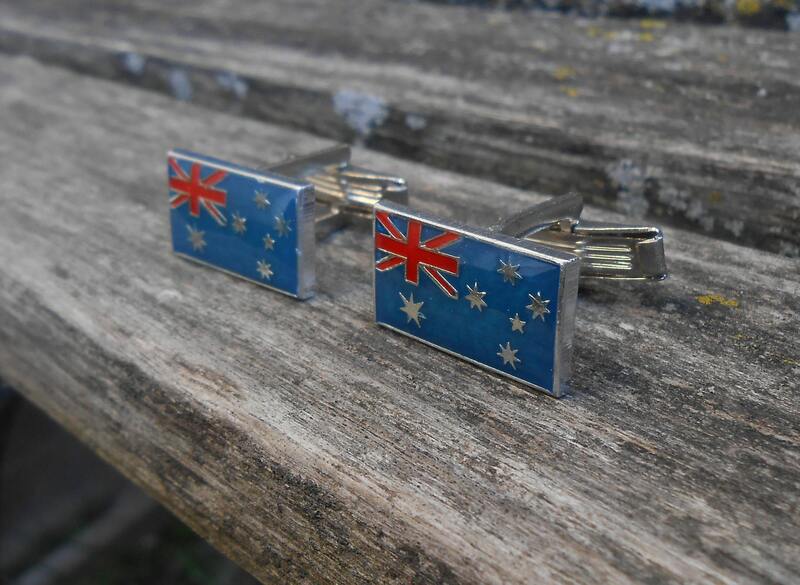 These vintage cufflinks feature the Australian flag, and are perfect for anyone! 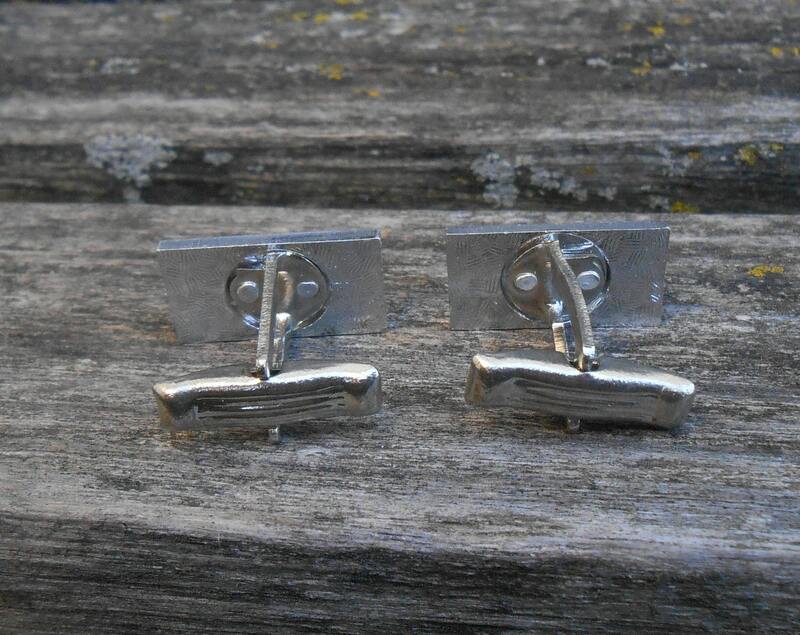 They measure 7/8" x 1/2", and the backside is a silver tone. 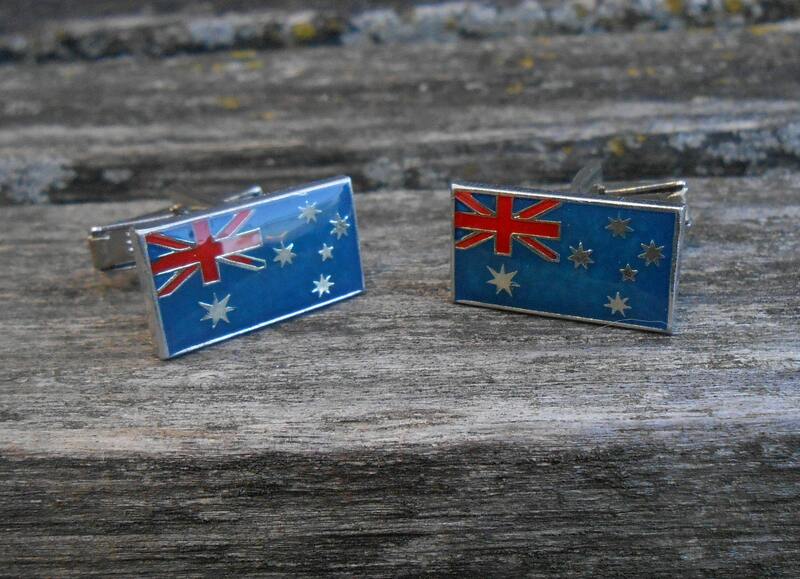 They're in excellent condition.